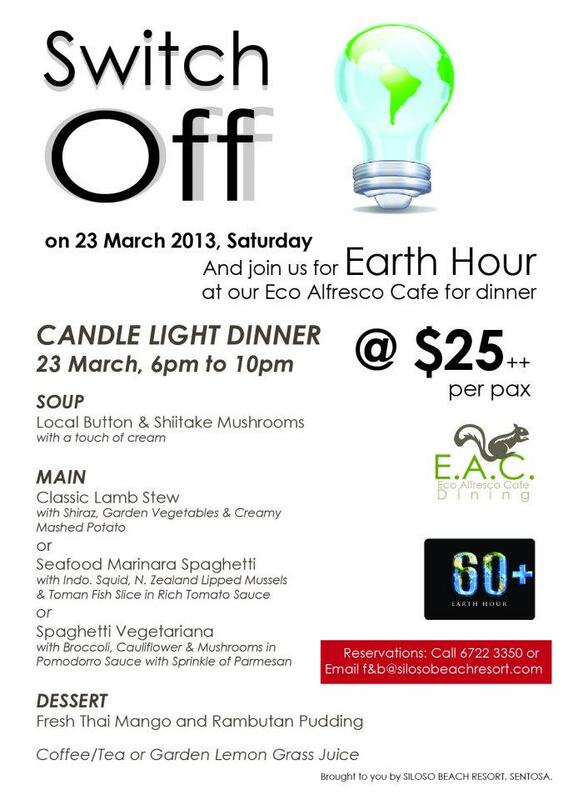 On March 23, 2013, SBR celebrates Earth Hour by promoting a candle light dinner in the café. During that one hour of darkness, many would find themselves trying to keep themselve occupied by doing other things to kill time. It would defeats the purpose of Earth Hour’s campaign as commitments would soon became a burden as anxious mood kicks in into trying to continue their previous activity. Many would see themselves spending the rest of the 1 hour burning time by using their mobile phone. This made the whole concept of Earth Hour so irony as activities and productivities are stopped, lights are turned off but energy is still consumed at the end of the day when these phones are sent for charging. Energy consumed might even be greater as a result! 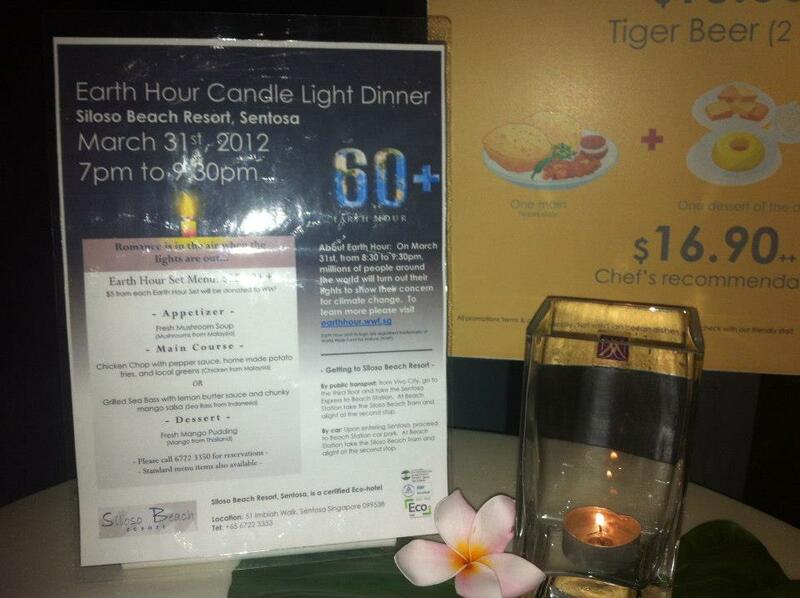 SBR has thought of this point and had planned well on promoting earth hour simply through the use of candles. By promoting a candle light dinner in its café, this is able to bring upon the lights off dedication and at the same time, allowing our guest to appreciate the romantic ambient brought by that small dim of candle light and the gentle sea breeze from the Siloso Beach. It was a memorable moment for all the guests as they too enjoy the special menu prepared by our chef! All in all, it was a very unique experience to be able to dine in a restaurant with just a small dim of light surrounded by a romantic ambient and served with good quality food. 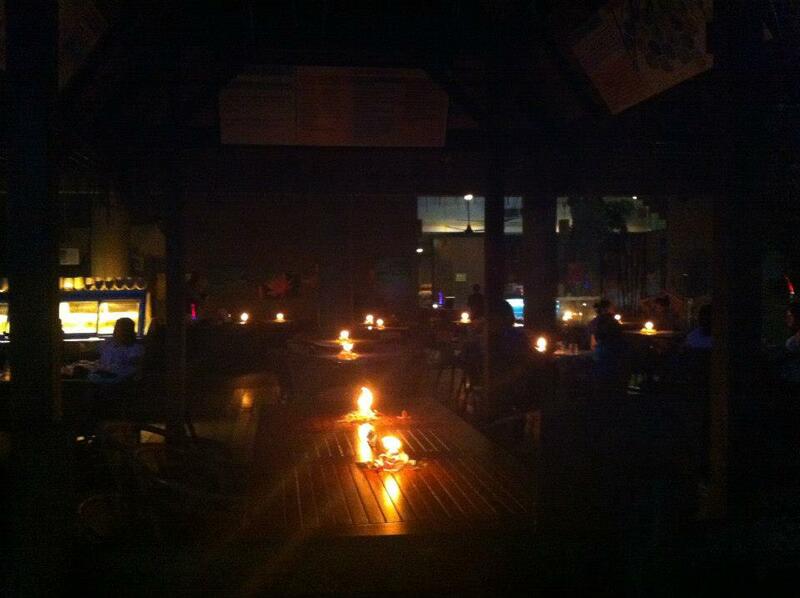 Thanks to the café’s open concept, fans are not needed as the chilly sea breeze is already a natural air conditioning. 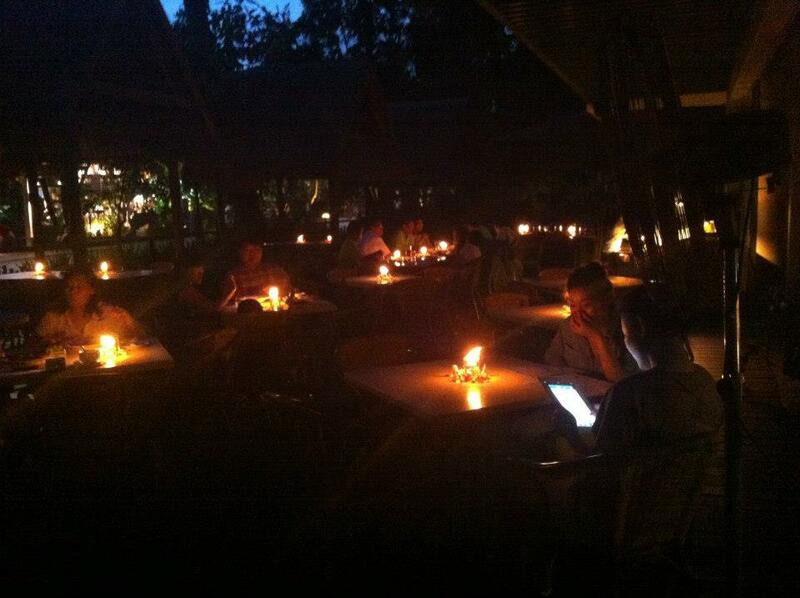 Our guests are able to enjoy the romantic ambient brought through the dim of candle light, but at the same time, help to conserve energy as part of earth hour! ← Biodiversity collapse and the rise of the super bugs!